Trying to become a motocross champion is difficult — think high speeds, rough terrains, frequent crashes and limited protective gear. Trying to become a female motocross champion is even more difficult — male athletes dominate the sport. Unfortunately, Tanya can’t compete as often as she wants. “In Zimbabwe, we only have 12 races [a year],” she explained. “In the U.S. and the U.K., there are races every weekend.” Fewer opportunities to compete means less experience. This puts Tanya at a distinct disadvantage to her peers, the vast majority of whom are from the U.S. or Europe. As Tanya attempts to become the first female motocross champion from Africa, she is faced with the challenge: how can she become the best in the world at something that isn’t popular in her community? To start, Tanya must ensure that when she can compete, she makes the most of those opportunities with strong showings. This means she has to train. A lot. Motocross is one of the most physically demanding sports in the world. Manoeuvring a heavy bike across hilly terrains while travelling at fast speeds requires agility, strength and endurance. When Tanya is not on her bike, she is running, cycling, lifting weights or doing CrossFit to stay in peak form. Tanya’s hard work is paying off — the young racer is making headlines around the world. She won a gold medal in South Africa FIM Motocross of Nations and bronze in the British Girls National Motocross Championships. The African Union Sports Council recently crowned her Junior Sportswoman of the Year. Tanya made history last year when she became the first female racer ever to win a heat at the MX Master Kids Championship in the U.K. But her plans to return to the prestigious race this year and defend her bronze medal fell through because she didn’t have enough sponsors to cover the cost of the trip. To help her navigate these successes and disappointments, Tanya relies on a close group of friends and family, who nicknamed themselves #TeamTanya. Leading her cheering squad at every race are parents and younger siblings. Tanya’s mentor, legendary motocross racer Stefy Bau, offers her advice as a former female champion. And around the world, fans rally to help the 13-year-old through online donations. 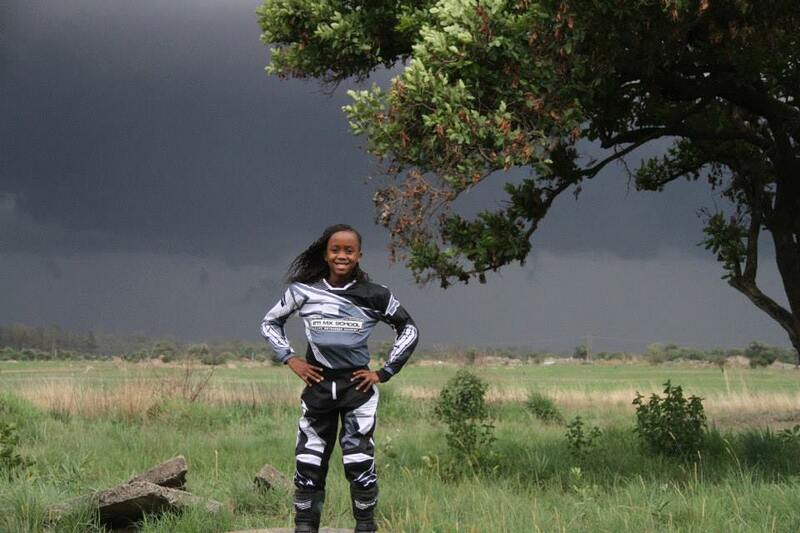 Tanya knows that becoming Africa’s first female motocross star will be challenging. She must not only train to become the best, but also fight for the resources and access many of her peers take for granted. The road ahead is riddled with hurdles, but Tanya’s passion for the sport keeps her going. After all, this motocross racer is used to trailblazing.